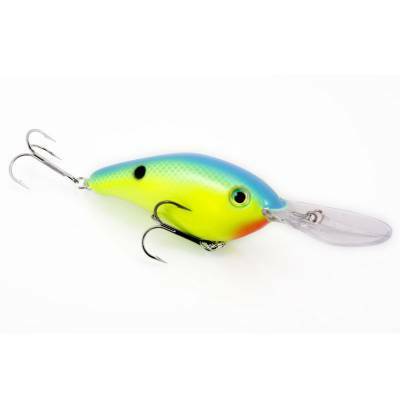 Strike King Pro-Model 6XD Silent Series Crankbait 18ft - Powder Blue Back Chartreuse. This silent (rattle-free) crankbait easily reaches depths of 18-20 feet and has the right wobble & shimmy to entice the deep bass to bite. Large-bodied and very well balanced, it casts like a bullet and has a super-steep dive.